The world is not out of the woods as far as Hamilton pop-culture crossovers are concerned. It may never be. It may never even want to be. As long as there is an internet and nerds around to use it, the mashups will continue. Has there been a Hamilton-Harry Potter one yet? They both start with H, so it seems like kind of a given. 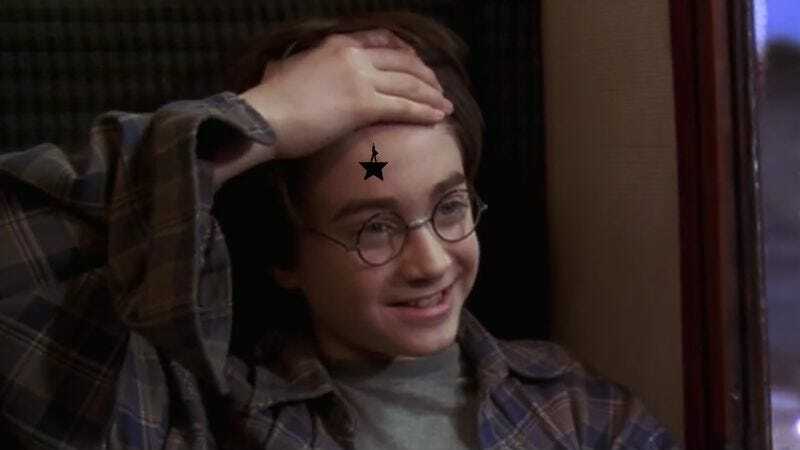 Anyway, there’s definitely one now, and this one has a timely twist: The Boy Who Lived just celebrated his 36th birthday, having been born on July 31, 1980. To celebrate, Li.st user Hollis Andrews, who bills herself as the “rap game Ron Weasley,” has rewritten the song “Alexander Hamilton,” the ubiquitous opening number of Lin-Manuel Miranda’s historical Broadway musical, so that its lyrics now retell the saga of a certain half-blood wizard of renown. Andrews’ song manages to encapsulate all the major bullet points of Potter’s life, including his relationships with Dumbledore, Hermione Granger (aptly described as “someone a lot smarter”), and that noseless wonder Voldemort. For now, this exists only as a set of lyrics. Andrews has not recorded her version of the song, or at least has not publicly shared any such recordings. Fans who want to turn this dream into a reality will have to DIY it for now. Luckily, instrumental versions of “Alexander Hamilton” are not difficult to locate. Have fun, fans.